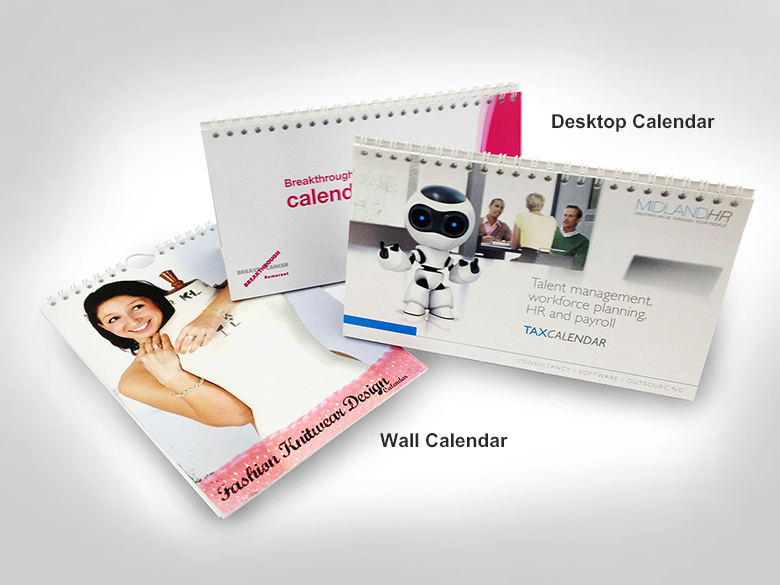 Promote your business by giving your clients a calendar personalised with your company details. Our calendars are printed onto 120gsm uncoated stock (so that it is easy to write on), consist of 13 pages and a backboard. Wall calendars are wire o bound with a thumb nail cut out and calendar hanger. Standard turnaround is 5-7 days from receipt of print ready PDF file. How would you like to design your Wall Calendars?